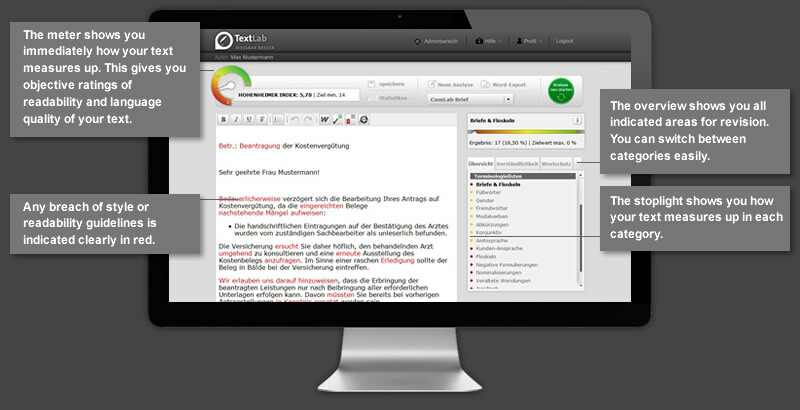 TextLab is the original software for comprehensible, reader-friendly and consistent business communication. 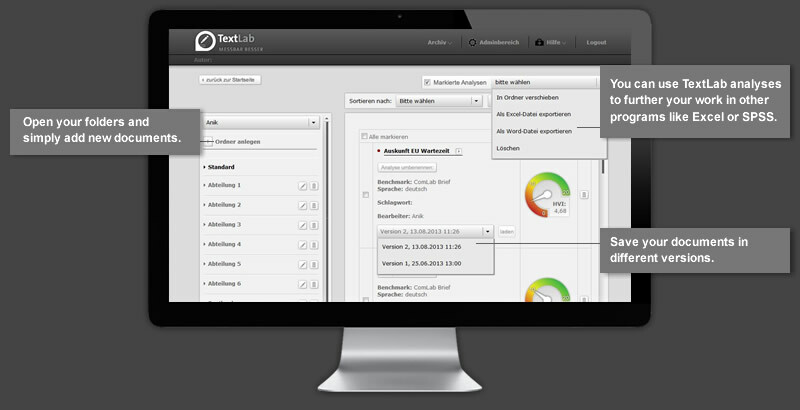 TextLab supports your team in systematically rating and improving your texts. Our system gives you the opportunity to continually adjust and upgrade your corporate language. With the push of a button, you can examine your texts based on many objective benchmarks. TextLab identifies barriers and stumbling blocks that readers may experience with early drafts. You see places where your text could be revised and receive suggestions for improving it. 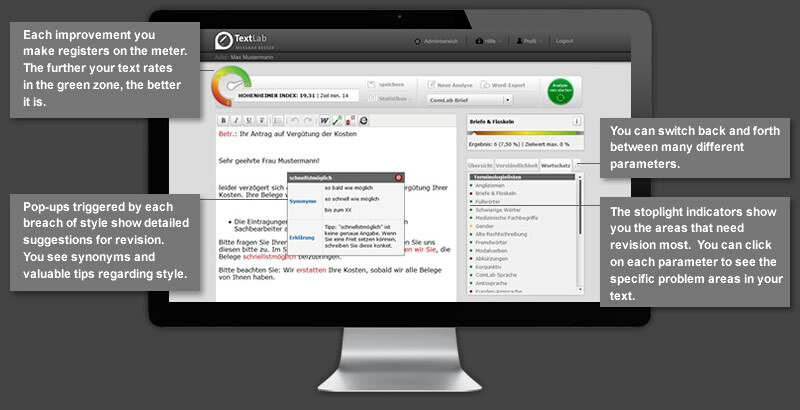 TextLab, a branch of H&H Communication GmbH, has been developing since 2006 as a partnership with Hohenheim University. This cooperation ensures that TextLab not only meets office demands, but also stays current with scientific research and standards. “This software improves the text quality in our office. Everyone who uses the software can check their own texts. The program points out passages that are unclear and offers alternatives. The categories by which a text is rated (filler words, words with more than 18 letters, sentences with more than 20 words, passive voice…) are clearly indicated. Please explore each field below to learn more. With TextLab, benchmarks and indicators show you how your language measures up. Check out where you are currently writing well, and where you can still improve. Objective Data for linguistic success. Every associate can participate actively in developing your corporate language. TextLab offers various opportunities to integrate your team members in development process. One business – one language. We work with you. TextLab recognizes thousands of cliches, outdated expressions and impolite turns of phrase. TextLab analyzes texts based on many guidelines for today’s writing tasks. Are you too stodgy, too abstract, too distanced, or just plain too technical? TextLab shows you not only where specific passage fall short, but also gives concrete suggestions on how you can revise. TextLab offer hundreds of thousands of synonyms – for understandable and diverse writing. In every business, hundreds of uses for specific expressions must be defined. Amount losses or Amounts lost? With TextLab you can simply save each guideline for use. And every associate can call up a text in seconds, and analyze it just as quickly. Paging through a glossary was yesterday. Today we have TextLab. You don’t have any rules for your corporate language yet? You have great rules, but implementing them has not been as smooth as you imagined? Use TextLab. With our software you can instruct each associate on corporate language directly in their texts. Corporate language that works. At the push of a button. That’s how we write these days. 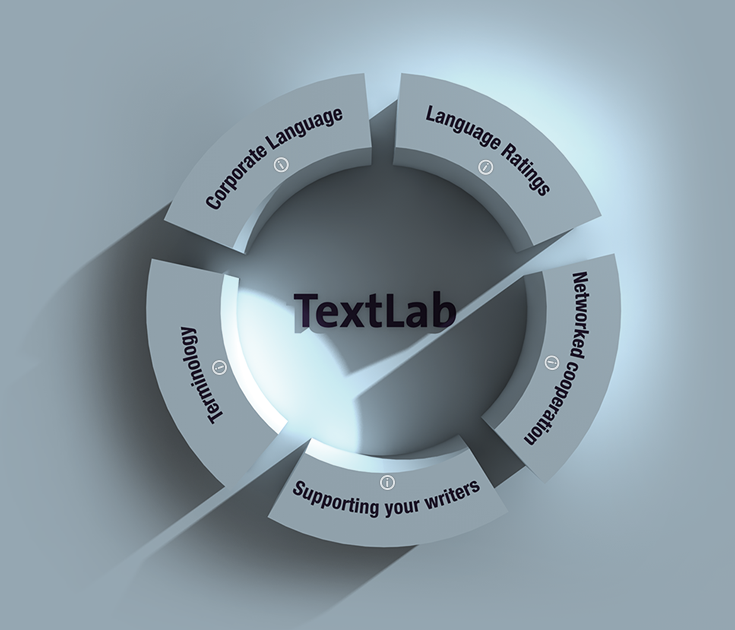 TextLab helps your associates and writers write readable texts quickly and easily. TextLab offers hundreds of thousands of concrete suggestions for revision and valuable tips. TextLab helps you review your corporate language carefully as it develops and to anchor it consistently throughout your business. With TextLab, your language will improve a little every day. TextLab. So that your corporate language stays readable, friendly, consistent and modern! WHERE CAN TEXTLAB BE IMPLEMENTED? Very often, businesses release letters and mailings that are incomprehensible or rude, or that use very formal legalese. TextLab can be used before those letters get sent out. That way, everything that leaves your office is written with consistent, comprehensible language and customer-friendly tone. Most often, e-mails are written and sent under incredible time pressure. That’s why it is so important that e-mails written to customers abide by the same quality guidelines as for letters. Some businesses even have specific language guidelines just for e-mails. TextLab helps you maintain a consistent level of quality for these writing efforts. Internet texts need to be especially concise and clear. People read screens differently than paper. Web texts require precise, short, active and readable prose. That’s why TextLab is an irreplaceable tool. TextLab shows you immediately where your writing needs to be more clear or succinct for Internet readers. Consumers: from Patient Information Fliers to Product Information sheets from financial brokers. TextLab helps you to write this customer information in a way that is accessible and user-friendly. Contracts are often complicated and incomprehensible. Legalese compromises readability. But TextLab shows you how Terms and Conditions and formal contracts could be written much more accessibly. And TextLab saves this information so that you have it at the ready for future use. Pamphlets and other advertising material provide information for customers. These texts communicate at eye-level with readers, politely and clearly. A lasting, positive impression on customers requires consistent language, especially when it comes to marketing. TextLab supports you in this challenge. Your team members also need simple, clear communication. TextLab is often used to edit and check articles and information on an ongoing basis. Internal communication requires accurate and complete comprehension. TextLab helps ensure that editors can access the latest language guidelines—so that internal communication is as pitch-perfect as external communication. Press releases demand the same consistency as other external documents: they must be written for your intended audience. Even journalists want quick, clear and accurate information. Their attention helps generate interest for your agenda. TextLab shows you where you can improve your press releases, where sentences are too long or the content is too abstract or too passive. Your customers do not rejoice over every letter you send. Bills and past due reminders are often received with a unique level of dread. But even when the content is unwelcome, you have the chance to influence how your readers receive it. Above all, you control how the customer understands what you want. TextLab helps you to formulate negative content in a more neutral voice. It recognizes hundreds of negative formulations and suggests neutral alternatives. Bad news doesn’t have to sound bad. TextLab is easy to use. And it gives you an objective view of your language. TextLab delivers thousands of useful language tips. Optimize your text step by step with detailed advice and tips. TextLab offers practical, step-by-step help for optimizing your text. Improve your writing with thousands of expert tips. TextLab registers extensive benchmarks for your language. These help you rate text quality objectively and securely. 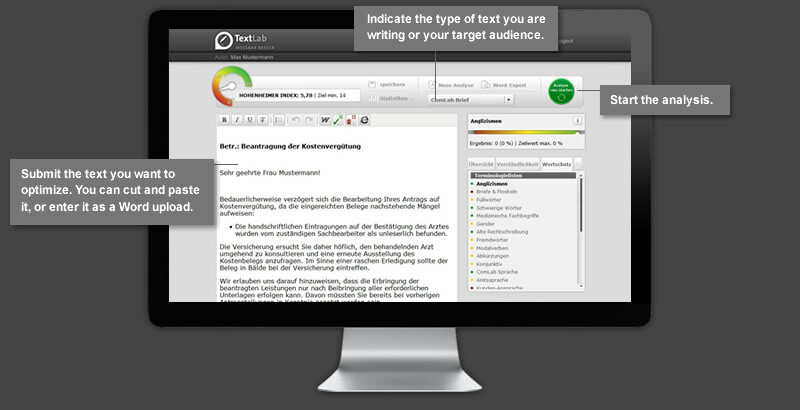 With TextLab you can review your text with new graphics. One chart can show you how strong your text is. TextLab saves your document in a structured, accessible way. It also allows you to use export data from other programs like Excel or SPSS. TextLab offers you a broad administrative range. You control the benchmarks, the values, the parameters and your corporate language. HOW CAN YOU ACCESS TEXTLAB? Every business generates letters and documents differently, with different processes and different technical programs. That’s why TextLab is flexible and available in different models. 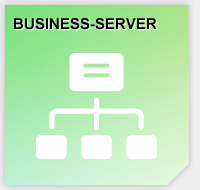 You can access it simply over the Internet, or have it installed on your own internal server. 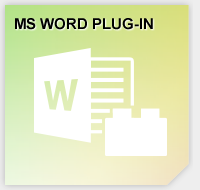 You can use it as a plug-in with Microsoft Word or integrate our own API interface as an extension directly into your own favorite writing programs. You can access TextLab simply just over the internet. We update our software and maintain its technical aspects. The highest security standards ensure that you can work securely on all of your documents. You just need a browser and web access. You can install TextLab on your internal system. That way, every associate can use it internally. Through a broad range of administrative options, you can continually adjust TextLab for your needs. This allows Textlab to learn your corporate language and standards. TextLab is also available as a plug-in for Microsoft Word 2007 and 2010, as well as more recent versions by request. You install TextLab as a plug-in and then check your document through Word. You don’t have to abandon your favorite program, and you gain even more valuable help for finalizing your texts. 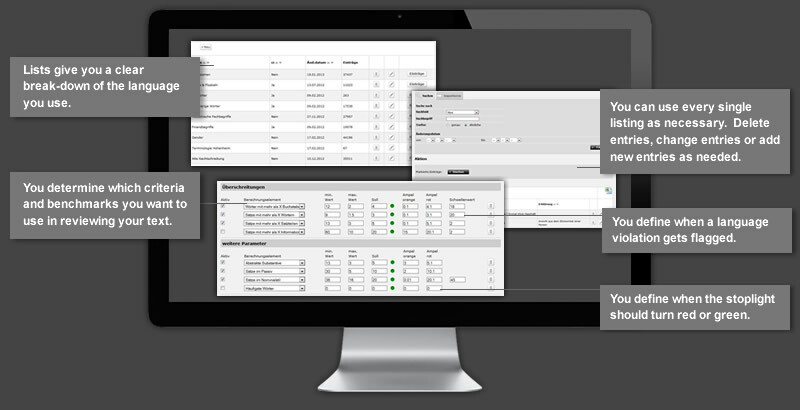 TextLab comes with a broad, programmed XML-interface. This allows you to integrate TextLab into every editing program you use. And this gives you the ability to choose how many parameters TextLab should reviews at any given time. FOR WHOM IS TEXTLAB DESIGNED? TextLab is currently in use by big name insurance companies, banks, energy providers, telecommunications businesses, as well as scientific facilities and government offices. TextLab is meant for writers at any agency that wants to transform difficult texts into something more user-friendly for its clientele. TextLab is for those who write a lot. And for those who value effective communication. WHAT ADVANTAGES DOES TEXTLAB OFFER? Readability is a clear advantage in the business arena. 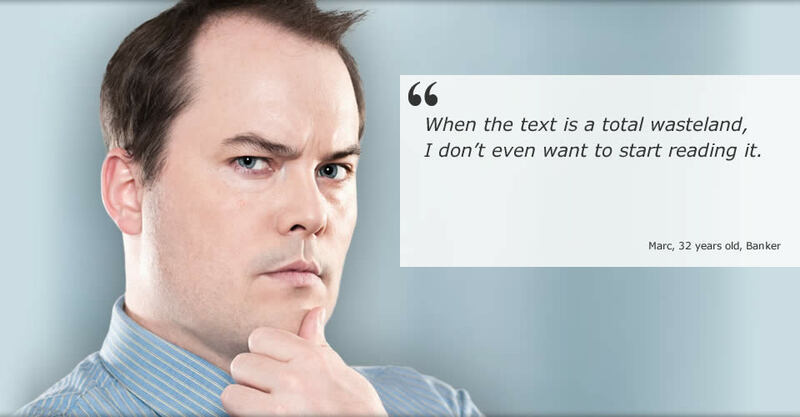 Your customers can only trust your company when they understand your texts. TexLab gives you objective assessments and concrete suggestions for revising each text. The resulting optimized readability and enhanced language quality can only strengthen customer satisfaction. 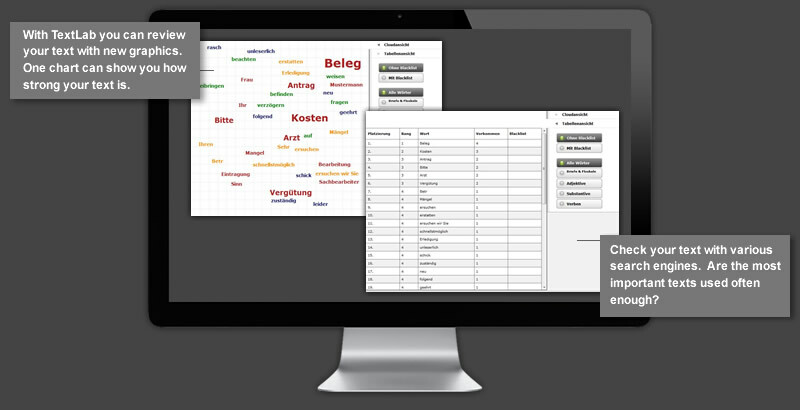 TextLab, in collaboration with the University in Hohenheim, has developed steadily with help from linguistic and communications researchers to validate and improve our software. Increase effectiveness in your business communication by using the expertise of these readability researchers. 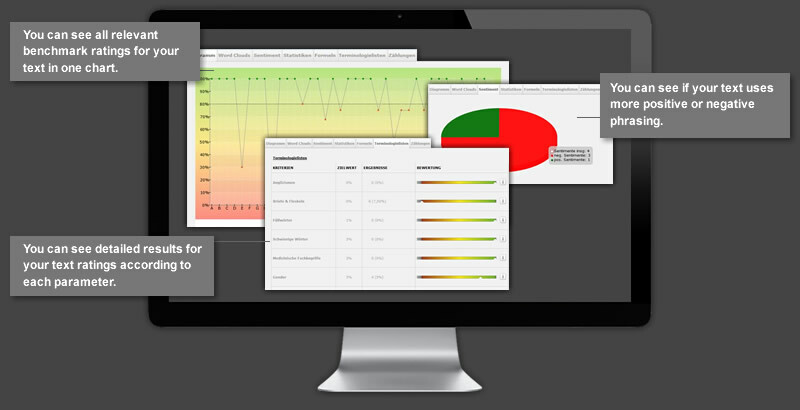 TextLab is software for your office. Today, thousands of associates from diverse agencies and offices use TextLab to draft reader-friendly letters and simple, clear documents. TextLab is user-friendly. It requires absolutely no expert training. 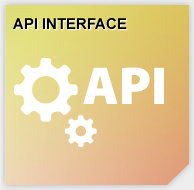 The interface is designed for intuitive use. Its recommendations give you detailed feedback for revision. Language is constantly evolving. 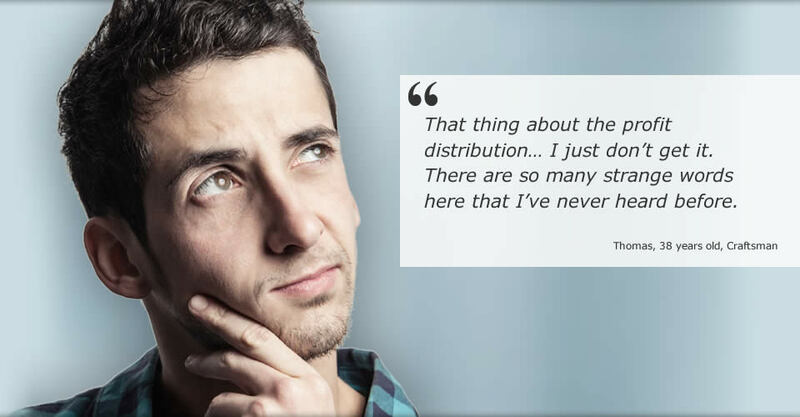 That’s why TextLab is constantly developing as well. Our editors increase TextLab’s vocabulary and word banks steadily. Because our editors monitor real life office use, we are able to add new software functions regularly. Every business has its own unique communication style. That’s why TextLab is custom designed for each group that uses it. You set your own language benchmarks and goals. You define your own specific language requirements and rules. Can you imagine every team associate using a different, self-chosen business logo? Or having the colors of your corporate design constantly in flux? No? And with language? Should that consistency be any different? TextLab helps your associates to communicate with unified corporate language. Please book a consultation appointment with me. 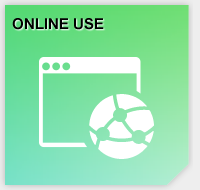 The system must temporarily store the IP address to enable the website to be delivered to the user’s computer. To do this, the user's IP address must be kept for the duration of the session. The legal basis for the processing of personal data using cookies is Art. 6 (1) lit. f GDPR. For these purposes, our legitimate interest in the processing of personal data is in Art. 6 (1) lit. f GDPR. On our website, we offer users the opportunity to register by providing personal information. The data is entered into an input mask, transmitted to us and stored. A transfer of data to third parties does not take place. The legal basis for processing the data with the user’s consent is Art. 6 (1) lit. a GDPR. In addition, the registration serves the execution of pre-contractual measures or as a result of the fulfilment of a contract to which the user becomes the contracting party. The processing of the data takes place on the legal basis of Art. 6 (1) lit. b GDPR. The user must be registered for the fulfilment of a contract with the user or to carry out pre-contractual measures. The data will be deleted immediately after cancellation or modification of the registration. As a user, you have the option of cancelling the registration at any time. You can change the data stored about you at any time. The cancellation or modification can be carried out without a form and should be addressed to the controller. Insofar as the data is necessary for the fulfilment of a contract or for the execution of pre-contractual measures, premature erasing of the data is only possible as far as contractual or legal obligations allow. A contact form is available on our website, which can be used for electronic contact. If a user makes use of this option, the data entered in the input mask will be transmitted to us and stored. The legal basis for processing data transmitted in the course of sending an e-mail is Art. 6 (1) lit. f GDPR. If the e-mail contact aims to conclude a contract, then the additional legal basis for the processing is Art. 6 (1) lit. b GDPR. The processing of the personal data from the input mask serves only to allow us to process the contact. In the case of contact by e-mail, this also constitutes the necessary legitimate interest in the processing of the data. The data will be deleted as soon as it is no longer necessary for the purpose of its collection. For the personal data from the contact form’s input mask and the data sent by e-mail, this is the case when the respective conversation with the user has ended. The conversation is ended when it can be inferred from the circumstances that the relevant facts have been finally clarified. The user can revoke their consent to the processing of their personal data at any time. If the user contacts us by e-mail, they may object to the storage of their personal data at any time. In such a case, the conversation cannot continue. The objection does not require a form and should be addressed to the controller.